Special thanks to Present-Tense for his contributions to this huge project. PT has more bands ready to go for future days… stay tuned! 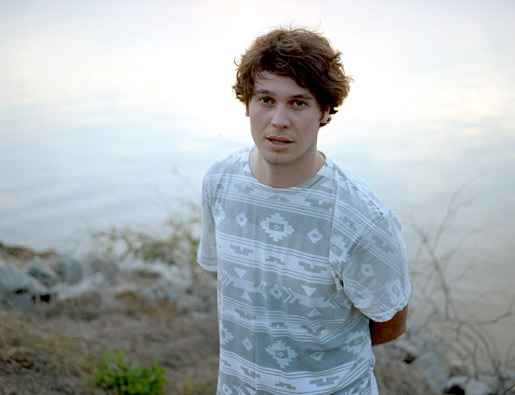 Washed Out is the moniker used by chillwave extraordinaire Ernest Greene. Mr. Greene started this project back in 2009 in the cozy-comfort of his own bedroom. He had recently moved back in with his parents after he couldn’t find a job as a Librarian, post-graduation from the University of Georgia with a degree in Library Science. Greene is a founding father in what is known as the chillwave movement, or what others refer to as glo-fi. We can get into… What is chillwave? Is chillwave still relevant? Did chillwave die in 2011? and of course the most important, Did Carles from the blog Hipster Runoff invented the term chillwave? However, those are all great debates for another day. Band’s that share in the chillwave spotlight with Washed Out include: Neon Indian, Small Black, Memory Tapes, Toro Y Moi, and to a certain extent Ariel Pink and Youth Lagoon. Acts that are cited as influential to chillwave are Animal Collective, more specifically Panda Bear, and Boards Of Canada. Ernest has released two brilliant albums, 2011′s Within and Without, and 2013′s Paracosm. There are three EP’s to his credit, most notably 2010′s Life Of Leisure, good luck getting your paws on the other two. In 2009 he released High Times on cassette and only produced 200 of them, and the other untitled offering was only available during his 2010 tour. Google “cassette” if you’re unsure what I’m talking about. Greene’s track “Feel It All Around” is used in the opening sequence of the hipster TV show Portlandia. The song “All I Know” was named the #2 track, that’s right #2, on my best of 2013 list. Check it out. Washed Out has been on my perfect poster list the last five years (check the spreadsheet for proof), nice to see him on the official poster, finally! Where Ernest lands in my Top 40 remains to be seen. Chillwave is still relevant in my world.